The Arrernte people of Central Australia first encountered Europeans in the 1860s as groups of explorers, pastoralists, missionaries, and laborers invaded their land. During that time the Arrernte were the subject of intense curiosity, and the earliest accounts of their lives, beliefs, and traditions were a seminal influence on European notions of the primitive. 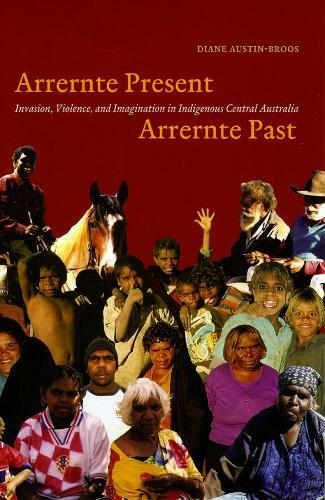 The first study to address the Arrernte's contemporary situation, "Arrernte Present, Arrernte Past" also documents the immense sociocultural changes they have experienced over the past hundred years.Employing ethnographic and archival research, Diane Austin-Broos traces the history of the Arrernte as they have transitioned from a society of hunter-gatherers to members of the Hermannsburg Mission community to their present, marginalized position in the modern Australian economy. While she concludes that these wrenching structural shifts led to the violence that now marks Arrernte communities, she also brings to light the powerful acts of imagination that have sustained a continuing sense of Arrernte identity.